This article will go over the Sales by Event Type. This report can be looked up by Date and by Location. 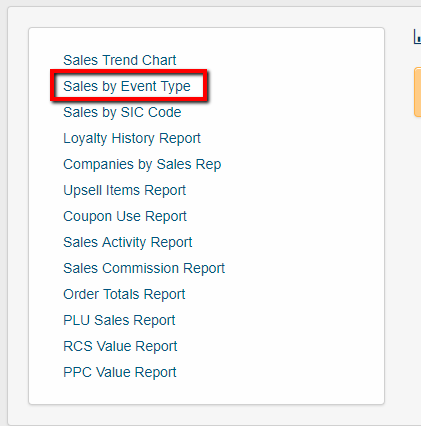 This report will show - Sales by the Top Five Event Types- the Event Types - the Dollar Amount of the Event Types. 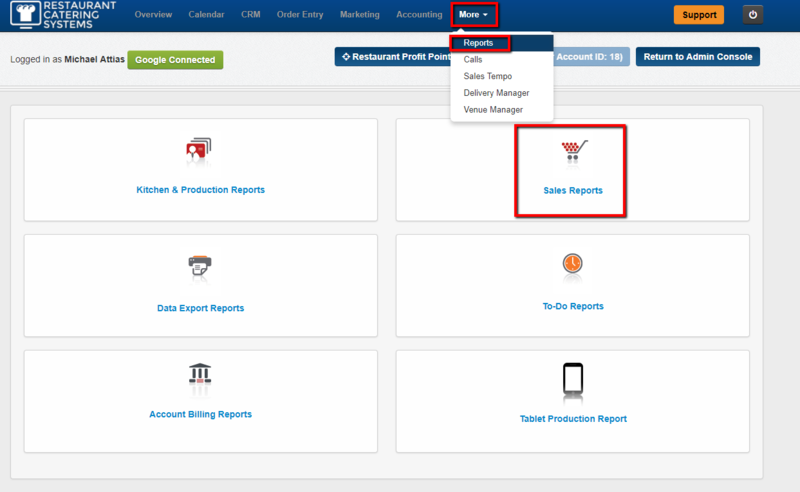 2 - Next click on the Sales by Event Type report link. 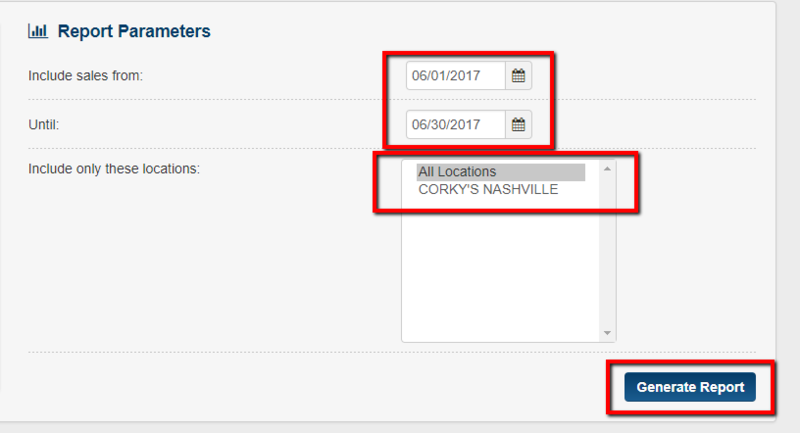 3 - Next choose your Date and Location - then click on the Generate Report tab. 4 - Your Report will then appear. 5 - Note you can have the report Emailed to you someone by clicking the Click Here link. You have now learned how to use the Sales by Event Type report.